Sylvia Spears, who was appointed this summer as director of the Office of Pluralism and Leadership, spoke to members of the Dartmouth community last night at the Pan Asian Council's Community Dinner. Spears came to Dartmouth in July and is also an associate aean of atudent life. She spoke to the assembled students about self-segregation among minorities, cultural differences between communities as a hindrance for communication and issues of sensitivity when discussing race and culture. 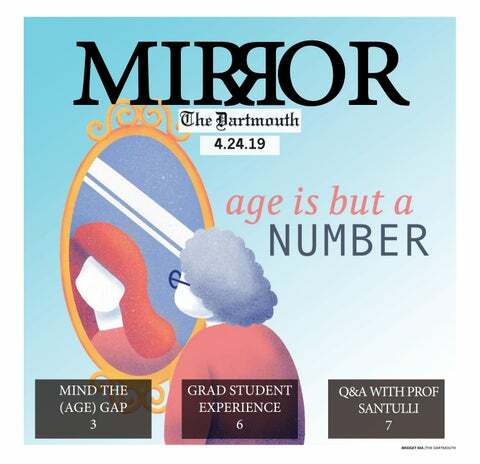 The event was funded by the advisor to Asian and Asian American Students, the Dartmouth Asian Organization, the Council on Student Organizations, and the Collis Governing Board. Dartmouth Professor Susannah Heschel is featured in a new podcast on the United States Holocaust Museum's web site as part of the museum's "Voices on Anti-Semitism" series, according to a College press release. Heschel is the Eli Black Professor of Jewish Studies, and her research concentrates on anti-Semitism in 19th and 20th century Germany. In the exhibit, Heschel discusses the legacy of her father, Rabbi Abraham Joshua Heschel, and his friendship with the Martin Luther King, Jr. In the podcast, Heschel also discusses the intensity of anti-Semitic stereotypes and their dangerous potential. Matthew Stevens, the Upper Valley resident who allegedly shot and killed his best friend Carl Ackley, went on trial for murder in the first degree in White River Junction on Tuesday, according to the Valley News. In an incident that shocked the community, Stevens deliberately shot Ackley at Ackley's 44th birthday party, held at Stevens' home in Reading, Vt., on Aug. 1, 2006. Both Stevens and Ackley had blood alcohol levels well above the legal limit of .08. The first degree charge asserts that Stevens premeditated the attack and willfully killed his friend. The defense claims that had Stevens been in full possession of his senses, he would never have committed such a crime.